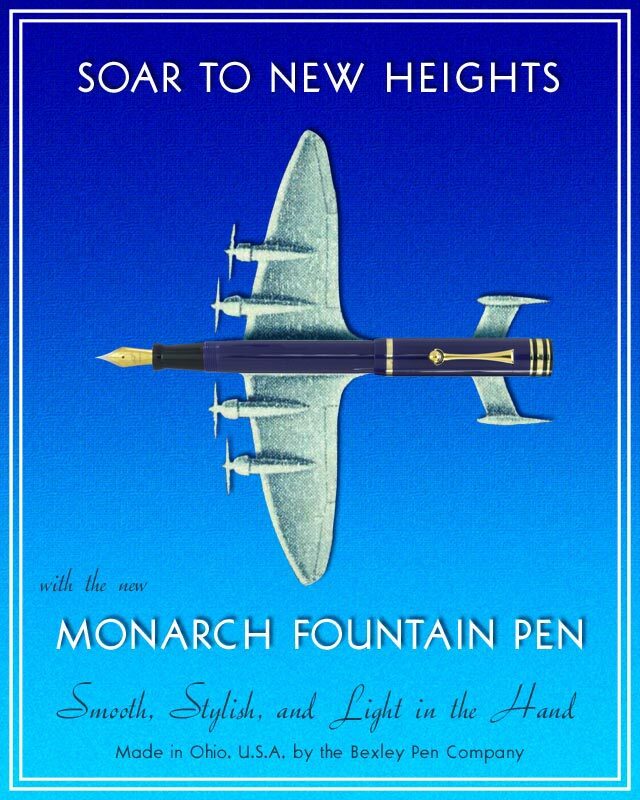 Designed based on a pen from the golden era of fountain pens, this Bexley is one of the classiest designs they have produced. 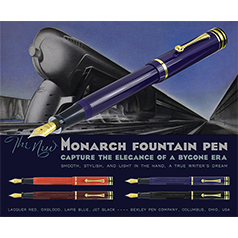 Capture the elegance of a bygone era with this smooth, stylish, and light in the hand masterpiece. A true writer's dream. 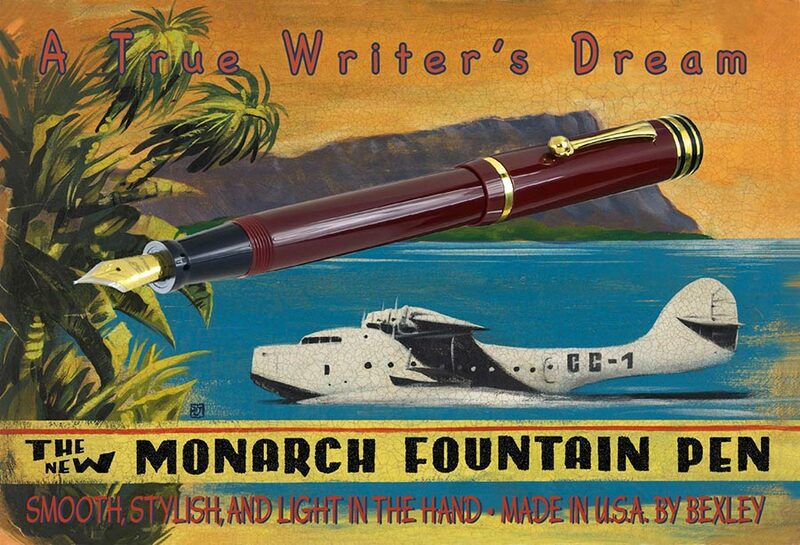 Writing with a fine fountain pen is like riding in the comfort of a luxury passenger train. 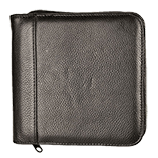 You want it to take you where you're going effortlessly and in style. 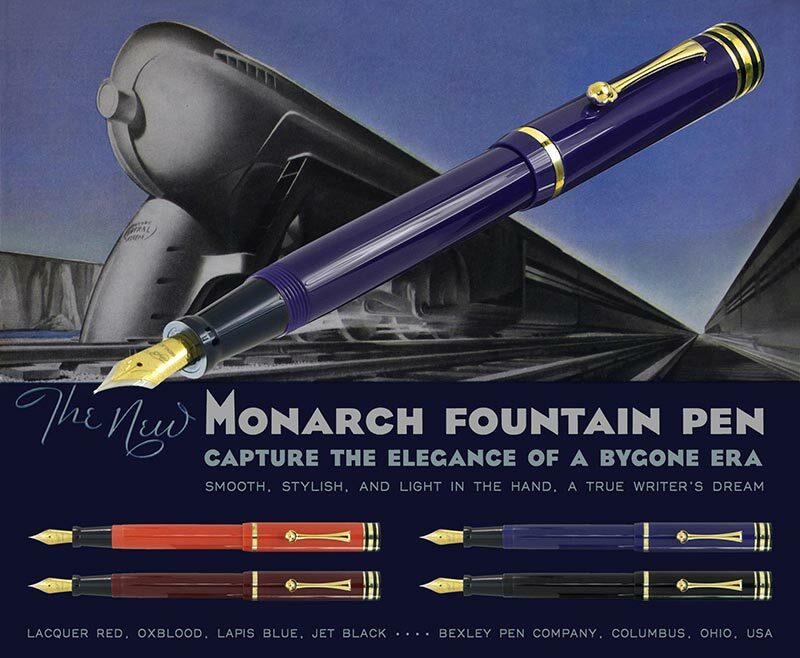 That's why the great pens of the Golden Age are still sought after, and that's how Bexley made their new Monarch. 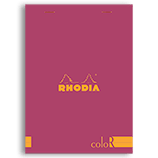 Inspired by the magnificent Moore L-96, this is a big pen, weight-forward and balanced to perfection either posted or unposted. 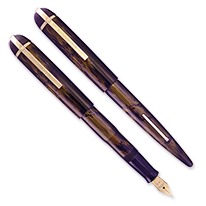 Fitted with top quality German made JoWo nibs in either steel, unbranded 14K Gold (optional upgrade) or unbranded 14K Gold Full Flex - this is a very classy pen for those with discriminating tastes. Bought the Lapis Blue one, love it, one of my favorites. Great writer. Five stars! Bexley makes really smooth writing quality pens. 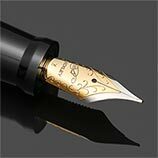 This is a fantastic pen! It is well made and balanced. It writes so smoothly. I love it! !